Bluetext is an award-winning Drupal website design, development & consulting firm, integrating inspired design with the most powerful and flexible open source CMS technology in the market. Founded in 2011 as a full-service firm, Bluetext and its accomplished senior leadership team has spent the past fifteen years refining our approach to building Drupal-based sites. As a specialized Drupal firm, we handle everything from strategy, planning, design, and information architecture to development, quality assurance and support. With a long history of commitment, participation, and contribution to the Drupal community – and with dozens of successful Drupal implementations – we have the experience required to ensure success for our clients. 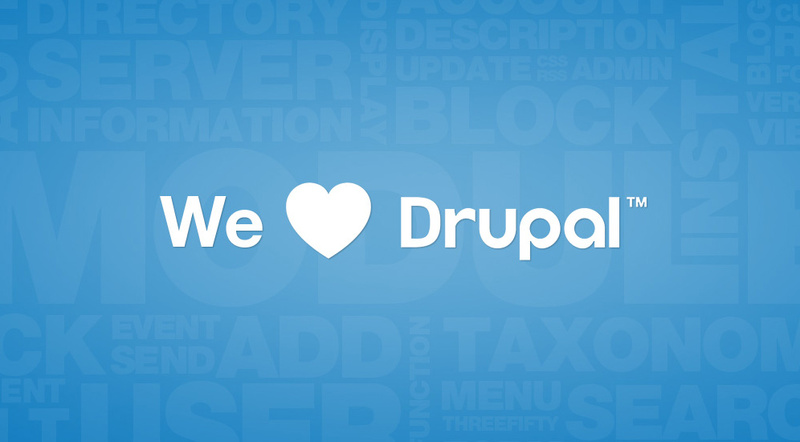 Explore the Drupal case studies below. 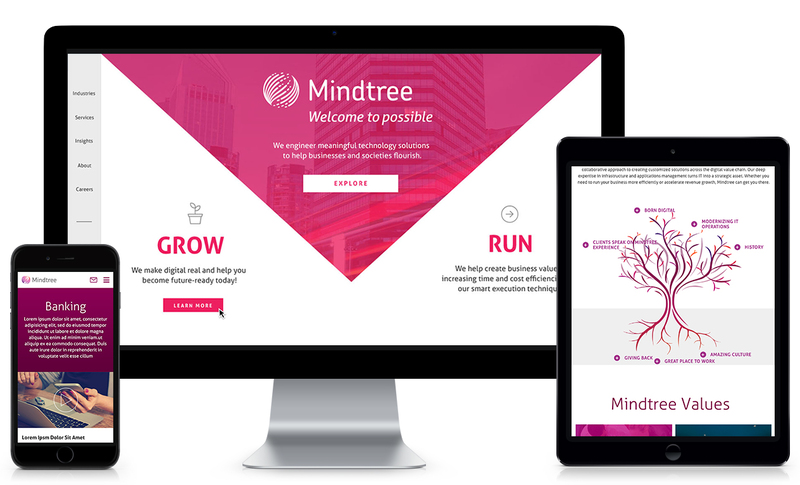 The new Mindtree.com offers an intuitive, fully responsive user experience and leverages personalization to serve relevant content to each user. 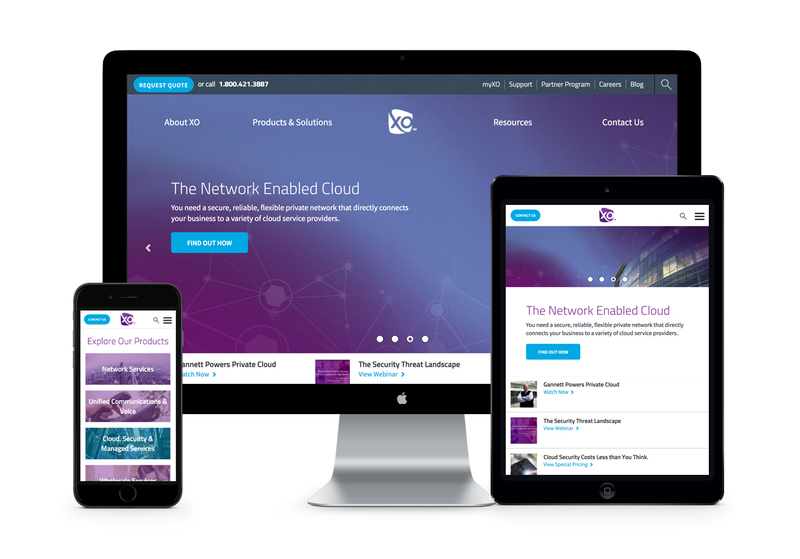 The site was built on a Drupal 8 CMS platform to provide the flexibility and scalability a large enterprise needs to support its digital marketing initiatives. Best of all, the web design reflects the vibrancy of the brand and its employees. Bluetext partnered with XO on an enterprise-level Drupal 8 website deployment. Bluetext engineered a next-generation CMS re-platforming that included a first-time responsive website user-experience design. As XO’s SEO agency of record, Bluetext delivered a comprehensive SEO overlay as we dealt with the complexities of re-platforming, leveraging the Drupal content management capabilities to make XO.com an organic SEO over-achiever. 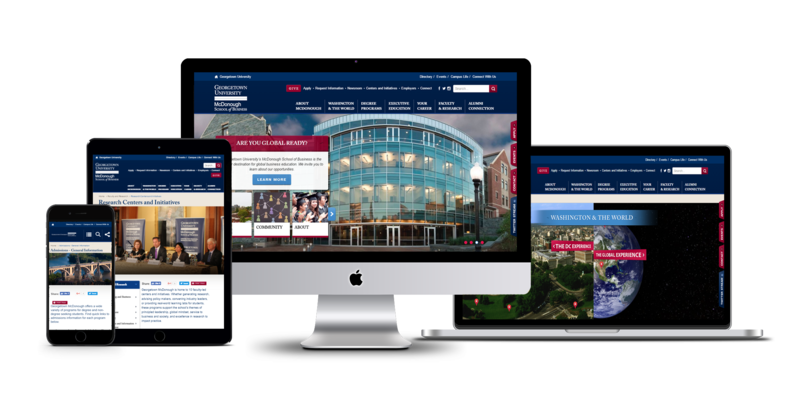 Georgetown University’s McDonough School of Business turned to Bluetext to deliver its new global website with a world-class user-experience powered via the Drupal WCM platform. One of the most important themes that emerged from our discovery with the McDonough School it that while it may be located in Washington, it is the starting point for global experiences. Google Earth functionality, personalized tours, and a robust content warehouse enabled visitors to learn about everything McDonough has to offer throughout the Drupal powered user-experience. When J.H. Cohn and Reznick Group announced a significant merger to create the 11th largest accounting firm in the country, it sent shock waves through the industry. The new combined entity, which was formally announced as CohnReznick, conducted a nationwide search for a Drupal development firm to launch this new firm in an abbreviated time frame. Bluetext was selected to design and implement the new Drupal digital platform, including a merged enterprise information architecture and global content migration built into the new Drupal content management system. CyberArk, a Goldman Sachs-backed global cyber security technology company based in Newton, MA, turned to Bluetext to deliver a comprehensive re-design of its brand, including the launch of a new responsive digital Drupal platform to address the needs of its global enterprise customer base. 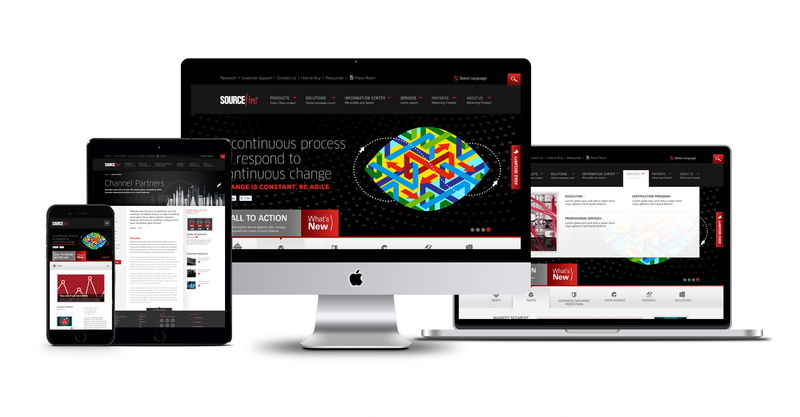 Sourcefire selected Bluetext to re-platform its website to Drupal and relaunch with a new, responsive design. A complex set of multilingual global sub sites was deployed with a comprehensive Marketo integration throughout the site to focus on demand generation and personalization of the user experience. Companies of all sizes choose Bluetext to design, architect, and build their websites, applications, and products. Let us help you grow your business.